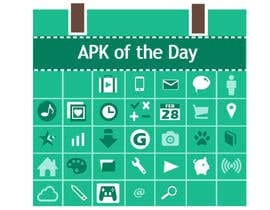 It should look similar to a calendar and at the top say 'Apk Of The Day' then instead of days each day of the month will be represented as an app icon. 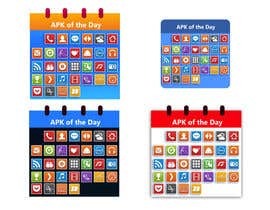 The icons used in place of each of the 30 days in the month should just be standard app icons and nothing that is copy written or trademarked will be accepted. this icon will need to be deliver in psd format using standards of app icon dimensions. if i could do it myself i would not make a contest. :) Thanks for your input. Since android requires icons to be ranged in size from 48*48 to 512*512 , as well as support LDI, so a resolution of 24*24, this design is impractical. see : http://www.freeimagehosting.net/newuploads/ztkul.png : for example of a 48*48 calendar mockup. For $70 I would be more than happy to work with you on creating an icon for your app. But what you are requesting is unworkable, especially for $10.